Cathy was the featured educator in the 2015 Happiest Baby Education Association newsletter! Read how she discovered Dr. Karp’s amazing programs and the unique ways she is blending Dr. Karp’s techniques with her work as an occupational therapist. I LOVE babies, and I LOVE helping parents become more confident and relaxed about parenting. integration and a Certified Massage Therapist with a specialty in Infant Massage. Cathy is licensed to teach Baby Massage and is a Certified Happiest Baby On The Block Educator. 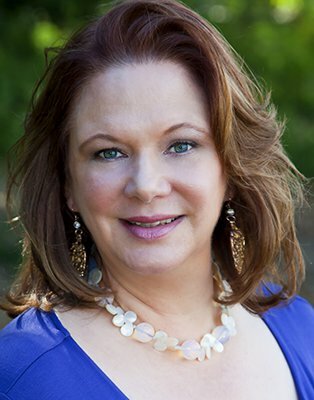 Cathy served as a Senior Therapist at the Joan Fenichel Therapeutic Nursery School in Brooklyn Heights and at The Rehabilitation Center in Norwalk, Conn. Cathy has trained and worked at Sound Shore Hospital in New Rochelle and Norwalk Hospital in Connecticut. Cathy has experience working with preemie and micro-preemie babies with a variety of complex medical issues. Each baby is unique. Every parent is different. Cathy draws on her training and experience to design a program that is tailored to meet the specific needs of you and your baby. For more information on Happiest Baby on the Block or Dr. Harvey Karp please visit: happiestbaby.com and huffingtonpost.com/harvey-karp. Power Of Movement is a Provider of Pediatric Physical Therapy to Infants and Children in Westchester County, NY and Greenwich, CT. Melissa Broderick, DPT treats in the following areas: Bronxville, Chappaqua, Eastchester, Harrison, Katonah, Larchmont, Mamaroneck, New Rochelle, Pelham, Port Chester, Rye, Rye Brook, Scarsdale, Tuckahoe, West Harrison, Yonkers, and White Plains. The information and advice contained in or made available through this website is for educational purposes, and is not intended to replace the services of a health care professional or to be a substitute for medical advice or treatment. Copyright © 2019 Cathy Collyer . All Rights Reserved.